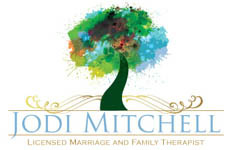 I am a Licensed Marriage and Family Therapist in the state of California. I have a Master of Arts in Counseling Psychology and a background in Recreation Therapy. I have been working in the counseling profession since 2009. I believe that establishing healthy boundaries and having a balanced lifestyle helps foster emotional well-being and healthy interpersonal relationships. I specialize in helping individuals and couples identify their emotions and work through cognitive distortions, unmet expectations, and communication problems utilizing a combination of cognitive-behavioral therapy (CBT) and solution focused techniques. I have experience working with individuals who are suffering from depression, anxiety, trauma, grief and loss, stress management, relationship problems, and phase of life issues. Throughout treatment I encourage physical, spiritual, and emotional health, as well as a strong focus on the empowerment of each individual to promote healing and positive change.